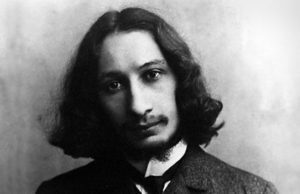 ALBUQUERQUE, NEW MEXICO (ANS)–While reading an essay on Russian Avant-garde art, I came upon a fascinating sentence: “the icon that is, in itself, ‘proof of the existence of God.’” The quote, attributed to Russian mathematician and philosopher Pavel Florensky (1882-1937), struck me. Can art—or by extension, beauty— be a proof for the existence of God? 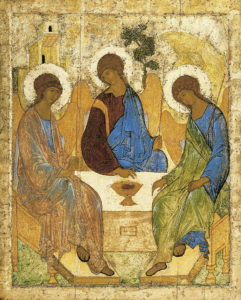 I later purchased the book Florensky penned, Iconostasis, to review the exact rendering of the reference, which reads: “There exists the icon of the Trinity by Andrei Rublev; therefore, God exists.” The context of Florensky’s statement is found within his discourse differentiating Western art from Russian, Eastern art. After extolling the virtues of pattern, color, line, and light—things associated with artistic beauty, he proclaims his statement within the sphere of the Icon as a witness for God. The painting he’s referencing is by Russian iconographer, Andrei Rublev (1360-1428), whose Trinity is considered the apex of Russian iconographic art. Summarizing the argument of the Icon/art, one can extrapolate Florensky’s quote to suggests that because a painting has both being (essence, countenance) and beauty (color, line, pattern, light, etc.) it is an indicator of God’s existence. 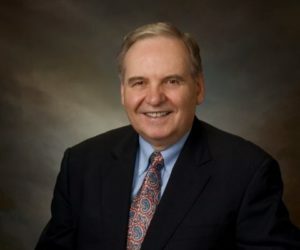 To clarify the use of Icons—and help focus on what follows, Peter C. Bouteneff states, “Icons are not themselves subjects of worship; they are depictions, or translations, of the divine and heavenly realities.” In other words, an Icon—and by extension, beauty— can translate—communicate— God’s being (existence). This short discourse sets out to demonstrate that Florensky is correct. The meaning behind the phrase is that beauty is subjective, a matter of personal taste, an individual assessment of an object’s attractiveness. On one hand a subjective rendering of beauty is true. One person’s view of beauty may not be another person’s. As an example, after looking at an action painting by Jackson Pollock—with its irregular, spattered paint and non-objective subject matter, a person may proclaim: my kindergartner could do this. It’s so ugly! On the other hand, another person looking at the same Pollock painting may qualify it as a masterpiece, a move towards new, expressive modes of color, application, and meaning. The painting, to him or her, is beautiful! Who’s right? Well, as Hungerford states, beauty is in the eye of the beholder; it’s subjective and personal. Both—the lover and hater of Pollock— would be correct within the context of subjective beauty. And there’s many studies showings that aspects of beauty, indeed, are subjective. But I contend there is an objective side to beauty as well, not only in the object itself (such as a beautiful flower), but a mechanism in the brain that beholds beauty. This objective side of beauty leads one to postulate that beauty begets beauty, as life does life. In other words, because there is a section of our brain that deals with beauty and there is a beautiful object to behold, there must be beauty in the world. Theologically, the concept of beauty is an indicator that there is a Beautiful One, namely, God. 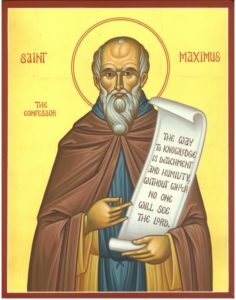 Or, as Maximums the Confessor implies, creation (beauty expressed) consists in the ideas of God actualized. God is perceived in beautiful things. This argument is summarized as kalokagathic, a combination of two Greek words meaning “beautiful” (kalos) and “good” (agathos). The kalokagathic argument for beauty begins with the converse of the subjective understanding of beauty: beauty has a base in objective reality, our brain (dealt with soon), and in the object itself (being). Because beauty has being, we must contend with it. The study of being is called ontology. Ontology deals with existence and reality. And the reality is that there are objects of being in the word—from the smallest of atoms to the largest of stars; being, reality, is real. Therefore, ontology, via aesthetics—the study of beauty, would ask questions about being and beauty as thus: Why is there beauty at all? Why is there a universal understanding that something beautiful (or appealing) is real, such as the beauty of nature or music? What constitutes beauty—or attractiveness—of a thing? There is an enormous amount of research delving into these questions, but the simple answer is: beauty is actual, and thus open for inquiry. It’s safe to say that beauty is found in being. If it didn’t exist, we would be talking about it. Beauty is real. Because beauty is real (in being) the question arises, how do we measure it? The answer is difficult to answer. Why? There is no universal criterion of what is considered beautiful. As mentioned above, some people like Pollock, others don’t; it’s subjective. But conversely, people—across the spectrum of humanity—have an inborn cognition to comprehend beauty, something that attracts or strikes him or her in accordance with his or her culture or personal preference; beauty leaves her or him in awe or wonder; it pleases his or her senses. And this cognition is based on particular objects, forms and substance—being. So, though an African culture’s understanding of what beauty is may differ from someone in Indonesia, both cultures have a sense of the beautiful. 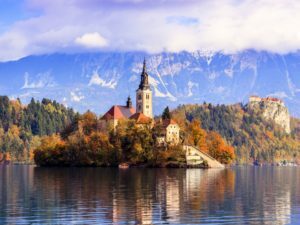 This beauty-understanding is comparable to all cultures having a moral code, seven characteristics all people groups share as a new Oxford study demonstrates. So it’s not the subjective aspect of what the person finds beautiful that I’m claiming, but the fact that a person—regardless of culture—has a propensity to find something beautiful; it’s the objective reality that humans have a natural inclination for the beautiful bound within his or her brain as encoded in human DNA and in the object itself (being), that accounts for beauty. Beauty is actual in form (object) and function (brain processing in understanding), physically and metaphysically. Though the object-subject argument is deep and wide, subjectively, a culture or individual’s understanding of beauty may be different; but objectively, beauty is existent. There is something within the mind wired for beauty; the brain processes and understands beauty. If there were no such thing as beauty, it wouldn’t exist. But beauty exists in the world. Human recognition of beauty is embedded in our DNA; we are born with a propensity to grasp beauty. And though there are differing notions of what makes something beautiful, there is biological reason to acknowledge that something or someone is lovely, attractive and pleasing to the senses. Beauty is real; our brains tell us so. And though there is much discussion among cognitive scientists and biologists on the role of beauty in nature—some seeing it as a result of evolutionary processes, others see beauty moving beyond evolutionary process, my point in this brief discourse is not to argue how it came to be, but that it is: beauty—or at least the ability to cognitively deal with beauty— is part of the brain; it exists as a function of the mind, and the mind is a biological entity (a real object). 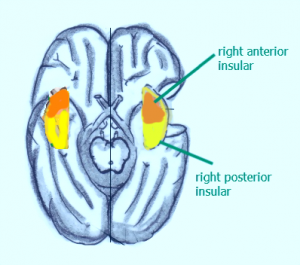 The brain, as an objective entity, is processing (via synapses, etc.) and interpreting particular objects, leading to an understanding of beauty. Again, beauty is real in both form (being) and function (understanding). To summarize: Beauty has a both an objective reality (a physical cognition within the brain) and in the object itself (being), along with a subjective reality (a metaphysical presence within culture or personal preferences, such as a flower, subject to the will, tastes, opinions, etc.). Beauty is both objective and subjective, physical and metaphysical. The study and appreciation of beauty is called aesthetics. 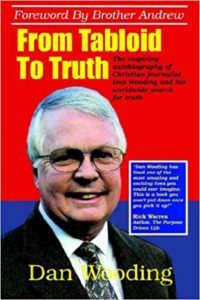 History is replete with men and women writing and debating the beautiful. In the Middle Ages, Thomas Aquinas formally defined beauty as something having proportion, integrity and clarity. Aquinas built upon the thought of people like Pseudo-Dionysian and Peter Lombard. And before Dionysian and Lombard, the Greeks (Plato and Aristotle’s Poetics) and Romans (Plotinus) wrote about the beautiful. After Aquinas, men and women during various eras—from Kant to Kierkegaard and Hegel, expanded and augmented the arguments. The debate continued in the Modern Era with people as far reaching as Heidegger to Dietrich van Hildebrand and Hans Urs van Baltasar. These, along with many other civilizations—Chinese, Indian, African, Arab, etc., dealt with beauty from differing vantage points. The discussion of beauty is historically verifiable. The point made here is that, along with the ontological and biological case for beauty, there is also a historical case for beauty; it is something people throughout the world and history have discussed due to the functioning within his or her brains and the being itself. Again, beauty exists in reality, in our mind, and in history. How do we understand beauty today? A contemporary definition of beauty is rendered by the Oxford Dictionary as “a combination of qualities such as shape, color, or form, that pleases the aesthetic senses, especially the sight.” As noted above, the subjective nature of how a person interprets color, shape, form is personal in nature, but processed within an objective entity—our brain based upon a real object (such as a tree). Humans see something and deem it beautiful or not beautiful. Our contemporary world contains an understanding of beauty, though expanded. Beauty lives on in our world because it is real. Beauty being so, the kalokagathic argument from beauty follows the thought of many of the classical arguments for the existence of God, dependent on cosmological and moral arguments, but has a special relationship to the ontological and teleological arguments, reasoning from being and design. ​(3) therefore, if a Necessary Being can exist, then it must exist. A Necessary Being is someone that is necessary for existence to be, answering the question: Can nothing create something? No, nothing can’t create something. There is nothing to create. But Someone can create something. And this Someone, as historically understood, is God. 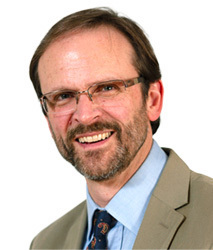 Geisler goes on to state, “While the ontological argument cannot prove God’s existence, it can prove certain things about His nature, if God exists.” So, if God exists, as the ontological argument advances, He exists perfectly, and His being will reflect His Person. Embedded in the understanding of God’s perfect existence is beauty. Because beauty exists, as argued above, it must have ontological being; it has potential and is actual, coming from somewhere: A Cause caused the cause. Because beauty is real, it points to greater Being, namely God. Why? Being begets being, as Beauty begets beauty. As life must come from life, so, too, beauty must come from Beauty. 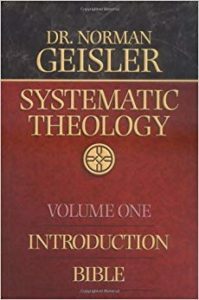 Honing on the connection between beauty and God, Geisler points out in Systematic Theology: Volume 2: “the attribute of beauty in God is based in the idea of being. 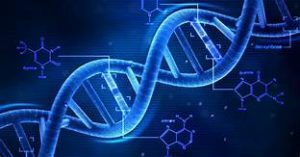 It can also be derived from His casual connection with His creation” (teleology). Put another way: because there is a Necessary Being (God—and God’s being is conjoined in beauty), it follows that God’s beauty (His metaphysical reality) is reflected in His creation (the physical reality). Because of God’s impartation of beauty, humans can understand beauty both metaphysically and physically, with both objective and subjective aspects of beauty associated with his or her being. (3) Therefore, there must have been a Great Designer of the universe. 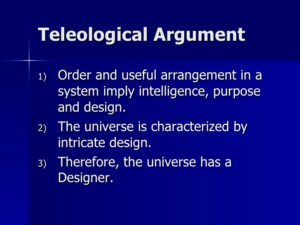 Like the ontological argument, where Being begets being, the teleological argument posits a Designer begets design. And if there is design in the human brain (the most intricate known biological entity), and part of the design of the brain is structured for beauty, then beauty must be part of the design. Or, re-stating Geisler’s point from above: God’s “casual connection with His creation.” God is the cause of beauty. In short, because God is Beauty, and designed beauty, He manifests beauty in reality, both objectively in the functioning of the brain and creation, and subjectively in our will to grasp and conceptualize beauty. (1) If God exists, we must conceive of Him as a Necessary Being. (2) By definition, a Necessary being cannot not exist. (3) therefore, if a Necessary Being can exist, then it must exist. (2) Consequently, beauty, as an attribute of a Necessary Being, cannot not exist; it is actual (minor premise). (3) Beauty exists; therefore, we must conceive of beauty as real, rooted in reality as an attribute of a Necessary Being as conveyed through creation (conclusion). (4) Beauty is, therefore God exists (summary). Syllogistic renderings aside, it’s a marvelous task to contemplate and participate in the transcendentals: truth, beauty, and goodness. And though I may be incorrect in some of my thought and implications, Beauty is not. It is, and for that we should be thankful. I’d like to thank Dr. Norman Geilser for reviewing my attribution of his work, ensuring my representation of his thought is correct. Spira, Andrew. The Avant-Garde Icon: Russian Avant-Garde Art and the Icon Painting Tradition. Page 20. Florensky, Pavel. Iconostasis. Page 68. Eco, Umberto. 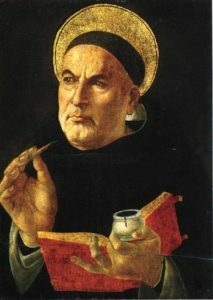 The Aesthetics of Thomas Aquinas. Geisler, Norman. Systematic Theology: Volume One, page 35. Geisler, Norman. Systematic Theology: Volume Two, page 239.